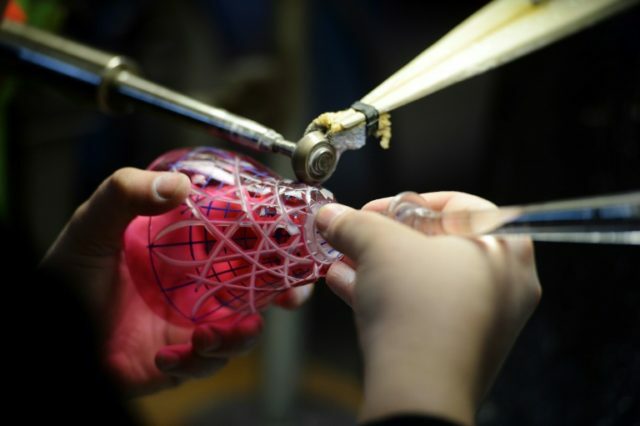 Paris (AFP) – The storied French crystal maker Baccarat, founded by Louis XV more than 250 years ago, said Thursday that a Chinese fund had finalised a deal to purchase the company, more than a year after the plan was first announced. Fortune Fountain Capital, founded by the Chinese businesswoman and Baccarat collectioner Coco Chu, will pay 164 million euros ($189 million) to buy an 89 percent stake held by the US firms Starwood Capital and L Catterton. The deal includes a plan to immediately invest 20 to 30 million euros in a drive to expand sales in markets including the United States and Asia. The company, which employs around 500 people, mostly at its historic production site in the town of Baccarat in eastern France, is hoping to consolidate a financial rebound after years of failing to keep up with explosive growth for luxury firms. After posting a net loss in 2015, the company returned to profit and last year booked a net profit of 3.4 million euros on sales of 146 million euros. Starwood took control of the company in 2005, later joined by L Catterton, in which the French luxury conglomerate LVMH has a partnership. Union leaders had accused directors of scaling back investments even as demand for European luxury brands soared in recent years and called for the opening of more stores. Baccarat’s directors said the delay in closing the deal announced last June was because Chinese regulators had not cleared the deal. Fortune also plans to make a public offer for the remaining Baccarat shares on the French stock market, paying the same 222.70 euros per share as it gave the US firms.